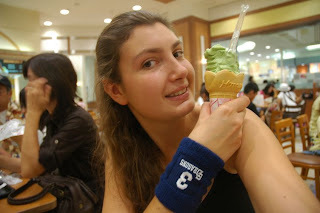 Maria-chan came for a few days to visit me in Japan and we had a great time together. 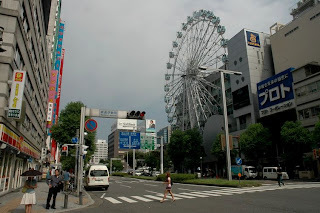 We decided to spend the first day after she arrived in Nagoya so she could have time to rest from the long trip. 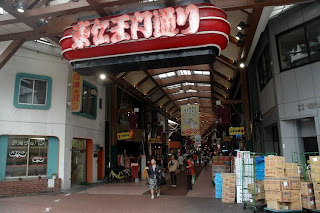 I took her to some of my favorite places in Nagoya, like Osu Kannon or Sakae area. While walking in Sakae we saw a street concert by some Japanese band. 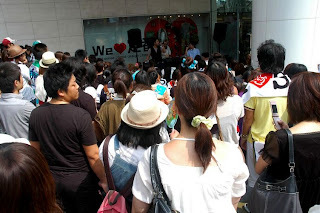 It looked like they were quite popular among Japanese as the public was following their songs with strong interest and waving their hands and arms. 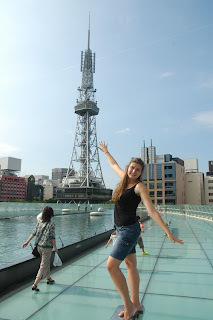 We also went to the nearby Oasis21 area where there are nice views of the Nagoya tower and other buildings. 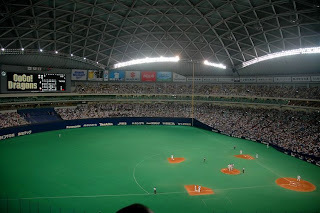 Very close to Oasis21, also in Sakae area, there is a place where there is always somebody playing on the weekends. 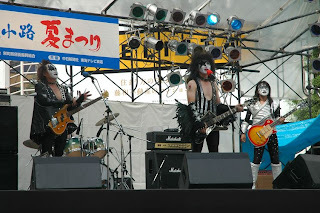 In our case, we had the "luck" to see this hilarious group of imitators of Kiss :). 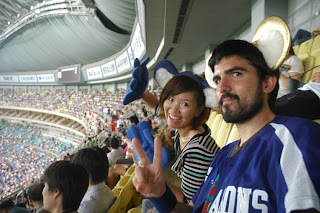 Finally, we went for the main event of the day, the Dragons baseball match!! We made a stop in the commercial centre AEON that is in front of the stadium (Nagoya Dome) and bought two Dragons bracelets and a T-shirt. She got the number 3, from Tatsunami, and I got the number 1, well.. because I am her number 1 hehe.